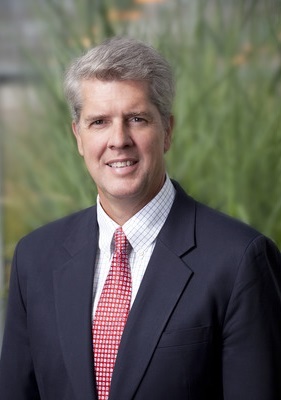 Today's entrepreneur Richard Hamilton, president and CEO at Prosper eDNA. Experienced Richard is an entrepreneur with a demonstrated history of building teams, companies and products. Richard is experienced in biotechnology entrepreneur with a passion for science-based solutions to longevity, nutrition, fitness, and mindfulness. He loves bridging research and business innovation to develop and deploy products that change lives. Richard combines a background in science with experience in biotechnology investing, entrepreneurship and management. He is experienced in assembling and leading teams to build organizations and bring products to market. Richard hold a degree in Biology from St. Lawrence University and gained PhD in Molecular Biology from Vanderbilt University. Company exits (of companies you founded): Ceres, which sold in 2016. Achievements (products built, personal awards won): I led Ceres for over 14 years, raising capital, building teams and deploying technology. We were able to develop high yielding sugarcane for Brazilian biofuel applications, and improved forage sorghum varieties that allow farmers to produce more milk with fewer acres of land used to produce feed. Because the best way to predict the future is to create it. What's most frustrating and rewarding about entrepreneurship/innovation?It can be frustrating to have a vision of the future, and realize that you need to convince many others of that vision in order to fulfill it. It is incredibly rewarding when you are able to do so. What's the No. 1 mistake entrepreneurs make? They underestimate the amount of time, money, energy, everything that will be required to fulfill their vision. Share your vision of the future. Build teams, because you cannot do it all by yourself. What do most people misunderstand about entrepreneurship? That it is like Thomas Edison's quote about genius - "It is 1% inspiration and 99% perspiration"
I am an experienced biotechnology entrepreneur with a passion for science-based solutions to longevity, nutrition, fitness, and mindfulness. I love bridging research and business innovation to develop and deploy products that change lives.